Manipulators make you feel down, depressed, dejected, sad, gloomy and miserable. They make you feel as if you have some very serious mental issues. If, you are surrounded by such people then remember that there is nothing wrong with you, it’s the other way round- good as well as normal people don’t really go around intimidating, demoralizing and destroying others. Ignore them. 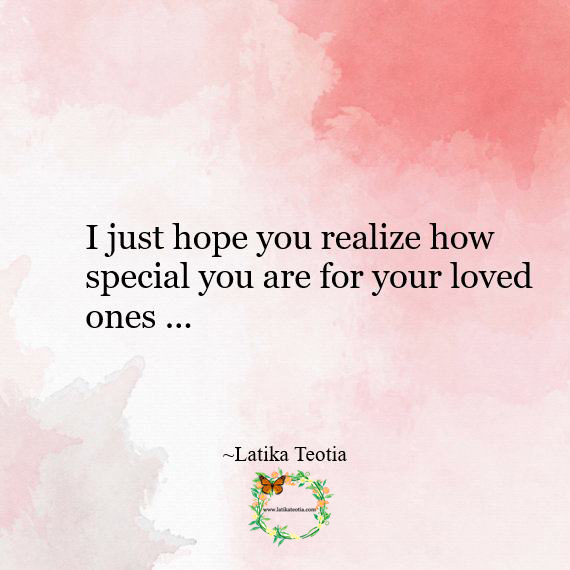 I just hope you realize how special you are for your loved ones .